George A Richards, Sr., also known as “Uncle George,” of Barron Spot died on July 22. He was 80 years old. 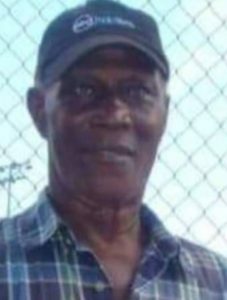 He was preceded in death by his mother, Henrietta A. Joseph-Richards; father, Ronalson Richards; daughter, Sandy A. Richards-Jones; sister, Maureen Richards-Messiah; and brother, Maurice Richards. He is survived by his wife, Rita P. Richards; daughters: Thais Richards-Roberts, Tyann Richards-Encarnacion and Novaly Sampson Richards; son, George D. Richards Jr.; grandchildren: Sarah Richards, Emmanuel Richards, Michaelangelo Encarnacion, Te’Andre Encarnacion, Mario Graham Jr., and Karima Lowry; great-grandchildren: Jahkimo Graham and Rei’Kai Graham; sister, Genevieve Richards-Tonge; brother, Clarence Richards; and nieces: Esther Richards-Williams, Desiree Richards-Hodge, Carmen Richards-James and Lily Mae Richards. He is also survived by nephews: Clarence Richards Jr., Derick Richards, Henderson Richards and John Messiah; great niece, Aminah Williams; great nephews: Vuai David, Omarie Williams, Jahmai Williams, Ammiel Williams, Jasiel David, Ellijah David and Ky’mani John; daughter-in-law, Keturah Richards; sons-in-law: Clement D. Richards Jr. and Michael Angelo Encarnacion Sr.; brothers-in-law: Aliston Francis, Elmore Francis and Alburn Francis; and sisters-in-law: Roselyn Tonge and Syliva Sampson. Other survivors include godchildren: Arnold Jarvis Jr., Dale Browne and Cemona Browne; special friends: Othelia Richards, Gladstone Simon, Stanley family, Marilyn Richards and family, Browne family, Annetta Joseph and family, Eric Buckley, Phoebe Tonge, Claudia Charles, Marva Bedneau, Keisha Francis and family, John Bridgewater, Valda Jeffers and family, and the Buckley family; cousins and other relatives: Agatha Phillip, Charles Peters, Messiah and family, Ivan Floyde, Aronld Jarvis Sr., Franklin Richards and family, and Roma Jarvis and family; as well as other relatives and friends too numerous to mention. A viewing will be held at 9 a.m. and a funeral service at 10 a.m., Monday, Aug. 6, at St. John’s Anglican Church. Interment will follow at Kingshill.